If you were to criticise me for being a little reactionary and backward looking I might admit that there is a germ of truth there. Just a germ mind. That said, there are a couple of cars that have caught my eye recently. We all have our dream garage, often with a rotating cast of perennial favourites. What if my garage could only contain cars that were currently for sale? A decade ago I might have had trouble filling my garage under this criterion. Things are looking up though. Straight off the bat I could think of six cars that are either on sale now or will be soon that I would happily park in my “currently available dream garage”. There’s a nice bit of variety here and they won’t all break the bank either. Mind you the sticker price on one or two of them is a little chunky. I really quite like this. Tell me I haven’t completely lost the plot. I’m going to start somewhere that might surprise you. There has to be at least one vehicle in one of my 6 carports that I don’t mind getting food, suncream or kids vomit spilt on. The current Renault Scenic really grabbed my attention. I’d almost go as far as saying it gobsmacked me. Yes, yes I know there is a wide selection of very dreary, mostly diesel lumps under the bonnet. I wasn’t arsed checking but it doesn’t seem to have been a great sales success. At least not here in Ireland. I’ve seen probably less than ten of these monospaces in the last couple of years. On each of these occasions it has made me stop and look and dare I say ….. Admire. Yes, admire. This would obviously be the runabout. 7 seats and van like capabilities. What do I like about it? Normally I really don’t like when (for structural reasons) the A pillar is made triangular. That upside down V where there should be one single strut bugs me. The way the glass on this Renault appears to be shrunk around it works for me. I love the wheels. I love that it doesn’t try too hard but there is still something there to look at. The kink in the beltline does just enough to make it interesting. I would walk over any number of Kadjars, Capturs, Tuscons, T Rocs (what a poxy name) and their ilk to drive this seriously nice People Carrier. Put that in your pipe and smoke it! C’mon, admit it. We’ve all dreamt of owning one. 2. For when you need to imperiously sweep past the proletariat. My next choice may also surprise those of you who know me. I’m not really an SUV kind of guy. In fact most of them rub me up the wrong way. 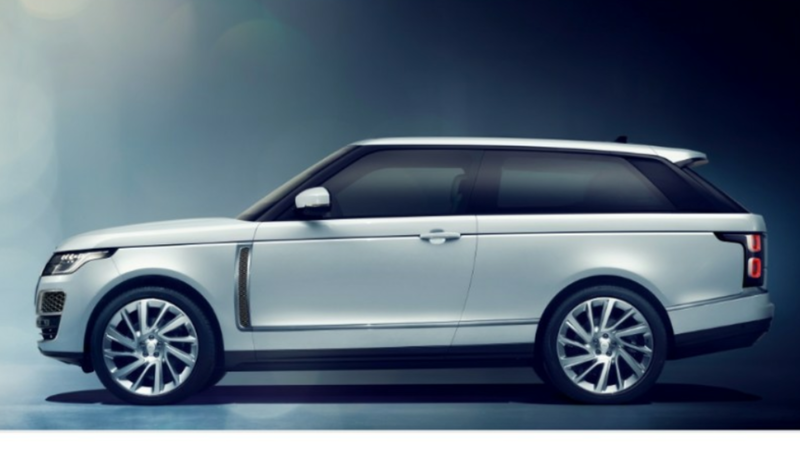 However show me a petrol head who claims they haven’t at one time or another dreamt of running a series one three door Range Rover and I’ll show you a liar. I would have gone for mustard yellow. 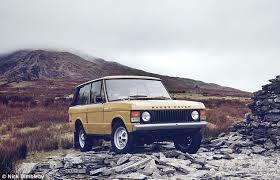 About 2 years ago I mused about the desirability of a modern 3 door Rangie. Obviously Gerry McGovern reads my words of wisdom very closely and recognised my prescience because lo and behold a Range Rover with the correct number of doors has recently been announced. Yes, it’s hugely expensive with just the right amount of impracticality, (only 4 comfy seats á la Avantime). Hugely fast and yes, hugely petrol. Over 500hp of lovely non diesel V8ness. That said, you would have to be on drugs to agree with their description of it as a coupe. They all seem to be white also which also kind of rubs me up the wrong way. Still, this is the proto SUV reborn and I really quite like it. Such a pity they all seem to be white. It certainly has presence. 3. My cerebral, grown up, elegant choice. The final car in this instalment (you’ll have to tune in next week for the final three (or next month more likely!)) is a tasteful, sleek and downright beautiful slice of Swedish modernity. It is also available with an ultra modern hybrid petrol/electric powertrain they call the T8. Volvo have sensibly followed the Lexus direction. Pretend the hybrid is there for environmental purposes but actually it is there to give you 400hp in a gorgeous package on just the right side of discreet. Is this not the Q Car for the 21st century? The S90 also seems to be flavour of the month with most publications, internet chatterati and most importantly the buying public. It’s therefore hardly a surprise to find it in here, but despite that predictability I couldn’t possibly have left it out. This car is not one iota a retro design yet is unmistakeably a Volvo. (Those Swedes are really good at this, think the 480 and the C30 in particular). There isn’t a line out of place and that over pronounced beltline that we put up with for 15 years has been massaged nicely away. Surely no dream garage is complete without a Q Car? There y’are now. A 20k people carrier, a real proper grown up saloon (with serious performance on tap) that despite not shouting is one of the most recognisable cars on the road and a seriously impractical SUV that costs something similar to a brand new Roller. Maybe my final three will be a little more true to form and predictable? There is a years free subscription to those who correctly guess the manufacturer that crops up again next time round in part 2. What do you think folks? Struggling to answer that one Mick. Can I have an ‘r’ please Bob, I’ll go with Renault. The more I see the Volvo S90 the more I like it and I liked it to begin with. It is a vastly tasteful car. The lack of anything larger than a 1.0 litre three-cylinder engine doesn´t count against it. You simply don´t drive a car like this on speed. 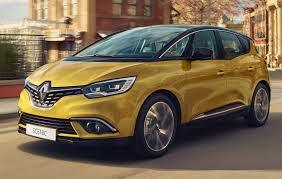 For Renault, the Espace is more likely to float my boat. It´s a bit frustrating two nice alternative executive cars come along at once and they are poles apart. The Renault you showed above only disappoints because the concept car was so much better. Overall, Renault are one of the few manufacturers with something approaching “high concept design”. Their cars are quite spacey and I think I have being taking their efforts for granted but nearly killing me with their rotten HVAC did not make a good impression. I wish the Talisman was more progressive than it is. Who wants a cod-international car from Renault? I think with Citroen having abandoned the C-D class for the moment, Renault could very well have offered a more individual approach. Richard, thanks for the comment. 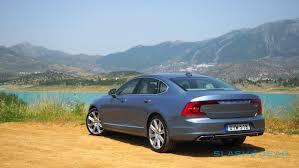 Surely the S90 is available with 2.0 litre engines and the hybrid drive? A modern day Q car if ever there was. Every time I see one I stop to admire it. I’m aware of both the Talisman and the Espace, however I’ve never seen either in the flesh. I think they are only manufactured in left hand drive. I had a look at the scenic concept and I still say it’s by far the best looking vehicle of it’s ilk out there. We keep coming back to HVAC controls one way or another. Does Infiniti register with you? They make some interesting saloons. Good point Richard. I never see any here except the occasional SUV grey import. Might be worth a little research. Got to drive a 40 year old 911sc recently. It’s the basis for the next post.